Initiative will enable wider Israeli public to hear the Shofar blasts by holding Rosh Hashana activities in public parks. For the fourth consecutive year, thousands of Israelis will participate in the "Shofar in the Park" events bringing traditional Rosh Hashana activities to urban parks. The initiative is organized by the Ohr Torah Stone network in cooperation with Tzohar and the Israel Association of Community Centers. As part of the project, both religious and secular people from a wide assortment of denominations and sectors will arrive at the park near their place of residence and will be able to hear the sound of a shofar. "Thanks to the shofar blasts and the wonderful activity of the children, the connection to Rosh Hashanah was stronger and more exciting than ever before," participants had said after last year's event. The initiative was started out of the recognition that many Israelis do not routinely visit a synagogue and have not heard the Shofar for many years. Taking the shofar from synagogue to the parks and public spaces is a golden opportunity for them to connect both personally and publicly to the spirit of the holiday and the Jewish tradition. The organizers of the project also expect an increase in the number of participants in the community holiday events this year. Rabbi Katriel (Kenneth) Brander, the incoming president of Ohr Torah Stone, said that "Shofar events in the park are a community and social event designed to bring people together and shape our general identity as a people." "We are working to make the values of the holiday, the holiday events and the life cycle more accessible to all of society and to empower the encounter as an engine of identity and identification. 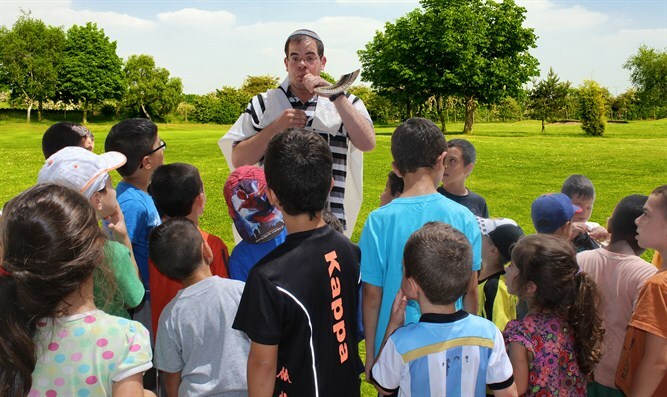 A shofar in the park's purpose is to enable people who want to feel a connection to the essence and values of the holiday" added Rabbi David Stav, who is the Chairman of the Rabbinical Council of Tzohar and co-chairman of Ohr Torah Stone. The "Shofar in the Park" events include shofar blasts, children's stories and holiday-based activities. For some of the participants, it will be the only connection for Rosh Hashana.